Headliners sixty-one years ago today included: “Freshman ‘Get Wise’ Friday, Sept. 26th” and “Five Students Join ’54 and ’55 at CSR.” The five transfer students were listed along with the schools from which they came. Also on the front page was a picture of several members of the junior class persuading undecided Freshman to choose Saint Rose. The first publication of the year highlights activities to familiarize new and returning students with campus events. Page two brings the announcement of a newly renovated residence hall and a schedule of club meetings. In the upper left corner is a list of The Rosaverian’s members and their titles. Other articles included updates on the 1952 edition of the yearbook Rose Leaves and Open Houses with Siena and RPI. Center of the third page is the announcement “LIBRARY WILL CLOSE FOR DINNER HOUR.” Students didn’t have to worry too much, the change in study hours was flexible if a lot of students were studying. 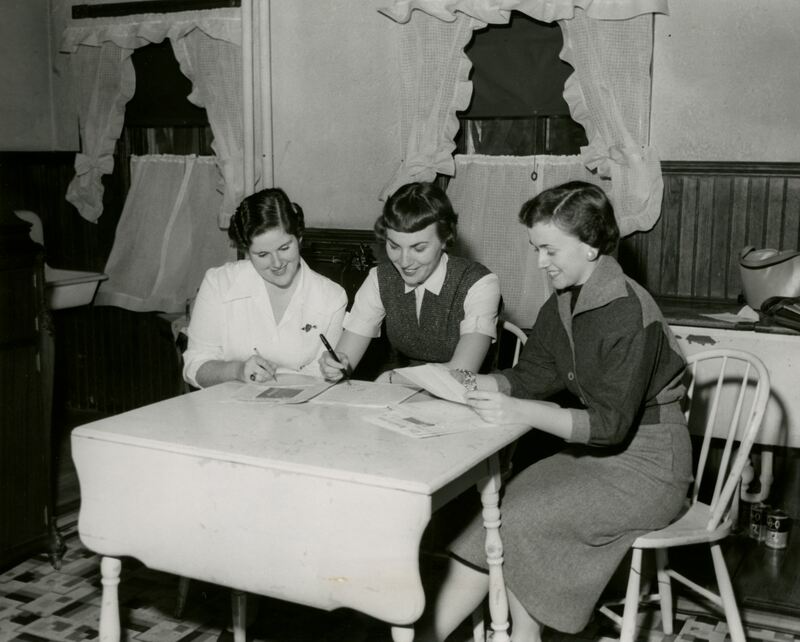 On the fourth and final page of the paper was the announcement that teaching and secretarial work were the most popular fields for graduates of the class of ’52. Another announcement was the decision for all students to receive identification cards. Today, every student gets issued a Golden Knights identification card. They’re used to access buildings, make prints and for student discounts! 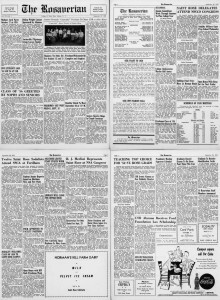 Ads and celebrations were featured in the 1952 newspaper too. Check out the throwback to the Albany Coca-Cola Company. All of the student newspapers can be found electronically in the archives digital collections. 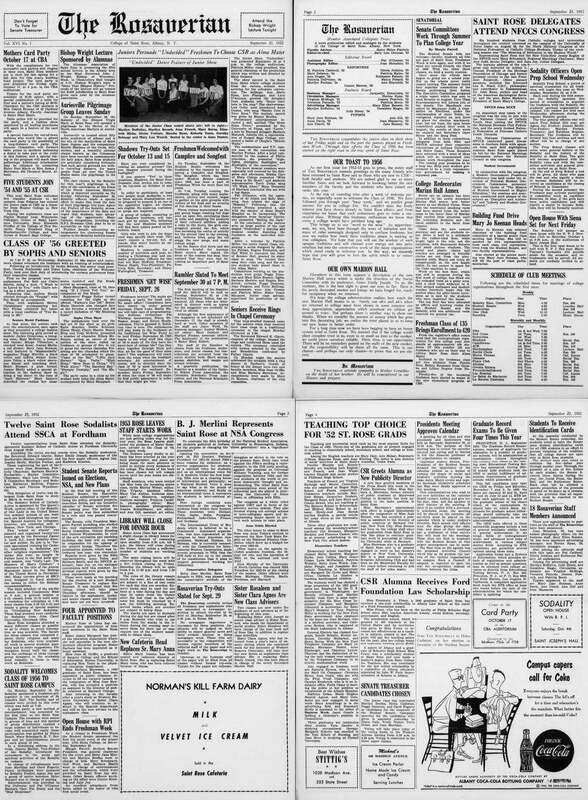 To read the September 25, 1952 edition of The Rosaverian click here.